Sick of the same old cards available from the supermarket and chain stores? Look no further – we’ve got our own range (coming!!!) that you can be sure won’t be a double-up! 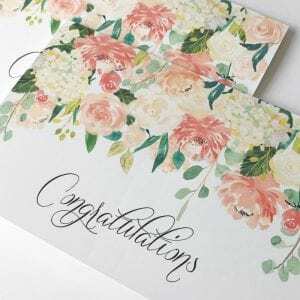 Boho style Card with hand-painted animals and floral arrangements. Perfect for a Baby Shower , Congratulations for a birth or Baby Birthday Card. Available with “Baby Girl”, “Baby Boy”, “Happy Birthday”, “Best Wishes” or blank. 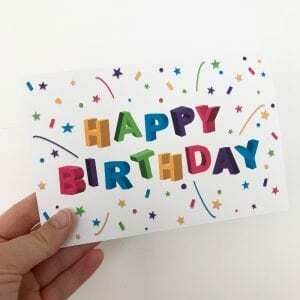 Bright and colourful confetti birthday card.